I9505XXUFNB9 Android 4.4.2 KitKat Firmware Last Updated on 27-Feb-2014. Download and install the latest XXUFNB9 4.4.2 KitKat official firmware on Samsung Galaxy S4 GT-I9505 (Snapdragon LTE) Smartphone. Samsung recently started rolling out an OTA update the firmware. The latest firmware build version is I9505XXUFNB9. However, the firmware is currently out for Nordic Countries. Hope the firmware will hit other part of the world soon. The Samsung GT-I9505 was released with Android 4.2.2 Jelly Bean and receiving Android 4.3 Jelly Bean from the month of October 2013. This is another official Android 4.4.2 KitKat firmware update for the device. If you own the device and not yet updated this latest firmware, then update the same using our simple tutorial below. The below guide will help you to download and install the I9505XXUFNB9 Android 4.4.2 KitKat Firmware manually through Odin. If you already updated the I9505XXUFNB9 firmware and looking for an easy to follow method to root the firmware, then follow this guide- Root I9505XXUFNB9 Android 4.4.2 KitKat Firmware on Galaxy S4 LTE GT-I9505- Simple Tutorial. So, want to update your Galaxy S4 I9505 to the latest XXUFNB9 Android 4.4.2 KitKat firmware? To install in official way, either you can go for OTA (over the air) from Settings-About Phone-Software Update or download firmware through the Samsung Kies utility. However, most of us prefer manual way to update official firmware. So, in this article you’ll find step by step manual guide to update the latest Android 4.4.2 I9505XXUFNB9 firmware on your Galaxy S4 I9505 through Odin. All the above pre-requisites are very important and must follow before proceed to installation guide. Hope you get all the above points. 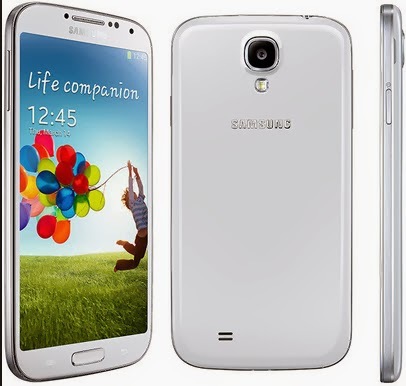 Now, go through the below tutorial to install Android 4.4.2 I9505XXUFNB9 official firmware on Galaxy S4 I9505. Congratulations! your Galaxy S4 I9505 is now updated to the latest and official Android 4.4.2 KitKat firmware. Hope you successfully completed the installation guide. If you followed everything as mentioned in the above tutorial, then your your Galaxy S4 should now running on the latest Android 4.4.2 KitKat build version XXUFNB9. You can confirm the firmware update details from Settings-About Phone. You can contact with us using the comment form below, if you find any problem with the above tutorial and download link and also share your experience with us. can I install firmware for nordic countries if I am from Poland? Will everything be working fine? this update can't find it on the OTA but it's on kies my phone is nordic version any help??? Installing custom rom will trigger den KNOX warranty Efuse. i bought my samsung s4 here in saudi arabia and i can use any network carrier here which means my phone is unlocked. Can i use this update? and will it still work with the same networks here in saudi arabia? I’m a bit confused right now. I flashed the leaked I9505XXUFNA5 firmware and my phone worked normally although it’s locked by my carrier. Would it work also normally if I flash this firmware?